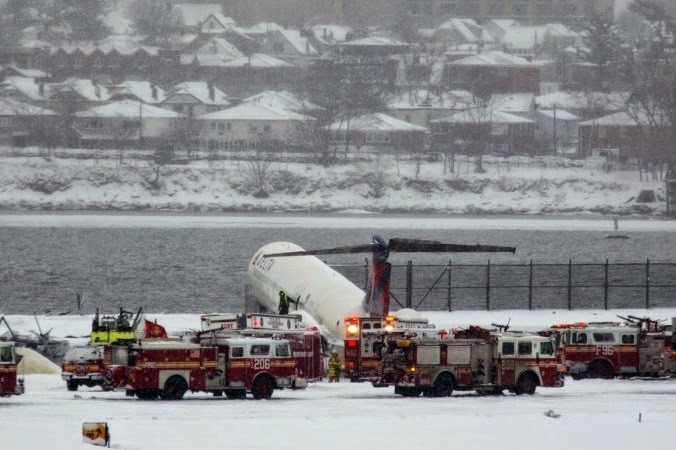 After a normal approach and touchdown, thrust-reversers were deployed as expected, but the plane still veered off the runway at roughly 100 miles an hour, said one of those people familiar with the situation. Based on preliminary information retrieved from “black box” recorders and pilot interviews, this person said, investigators are focusing on the performance of the braking system, which was set to operate automatically consistent with the airline’s procedures and safety rules. All airliners today are equipped with both anti-skid braking systems and also a system known as "auto-brakes". The anti-skid system is similar to the one on your car and releases brake pressure to any tire which is approaching zero RPM, or a skid. The auto-brake system is designed to automatically apply measured braking immediately after touchdown when the system detects wheel spin-up. It has several deceleration settings and will bring the aircraft to a complete stop if not overridden by the pilot. The use of auto-brakes is usually mandatory when landing on a wet or slippery runway and contributes an added layer of safety during rollout. This is especially helpful during high crosswind landings. A pilot's feet rest on the two rudder pedals which control the rudder in the air, but also control the wheel brakes on the ground. The pedals push in and out for rudder control, while applying toe pressure to each individual pedal applies the wheel brakes to the individual landing gear. During a crosswind landing, holding a significant amount of rudder means one leg is extended while the other comes back towards the seat. Applying toe pressure while simultaneously holding rudder input can be awkward and not very effective. Auto-brakes make up for this deficiency. Whether one of these systems malfunctioned during the landing rollout remains to be seen but the investigators seem to have found something amiss. Stay tuned.